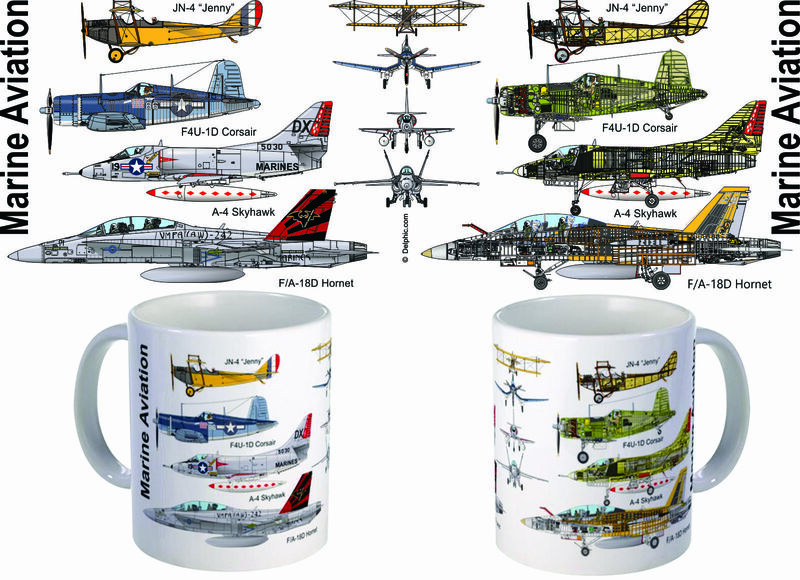 Celebrate the Marine Aviation with a coffee mug that features an aircraft from each of the four major eras of Naval Aviation. 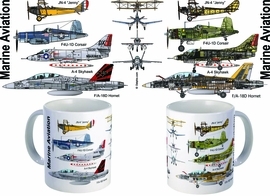 See the F/A-18 Hornet, A-4 Skyhawk, F4U Corsair, and JN-4 Jenny. The plane's exterior on one side and their interior on the other.